Lahore, April 9: Pakistan Muslim League-Nawaz (PML-N) President Shehbaz Sharif and his son Hamza were indicted by an accountability court in the Ramzan Sugar Mills corruption case on Tuesday. Both father and son -- opposition leaders in the National Assembly and Punjab Assembly respectively -- pleaded not guilty to the charges against them which involve the misuse of their authority and the illegal use of public funds, Dawn online reported. PML-N President Shehbaz Sharif to Be Indicted in Ashiana Scandal Case. The National Accountability Bureau (NAB) in February had filed a reference against the two alleging that the former Chief Minister of Punjab misused his authority by using public funds for the construction of a ditch to facilitate Ramzan mills, owned by his sons. As the hearing began, Judge Najamul Hassan asked the NAB prosecutor what the Ramzan Sugar Mills reference was, to which the prosecutor replied that public funds were used to build a "nullah" for the mills. In his defence, Sharif said: "In 10 years, I have saved the country billions of rupees, and God knows that. I had nothing to do with this 'nullah', and no money was wrongfully used." The Lahore High Court (LHC) on February 14 had granted bail to Sharif in the Ashiana Iqbal Housing scheme and Ramzan Sugar Mills graft cases. The opposition leader was earlier indicted in the Ashiana scheme case. 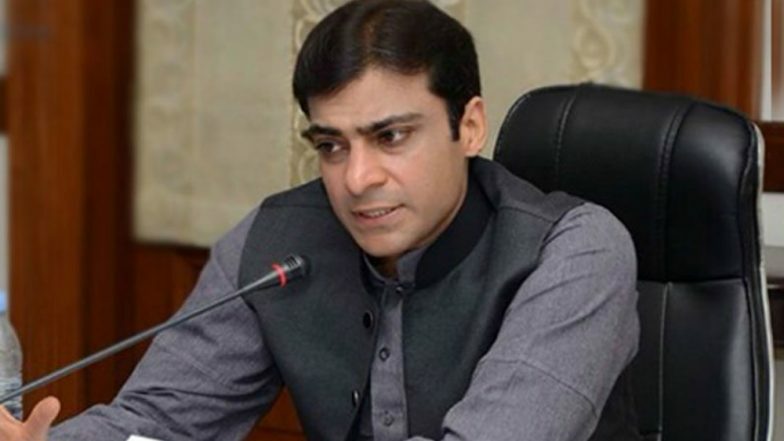 Hamza Sharif was granted pre-arrest bail till April 17 by the LHC, which also restrained NAB from arresting him in cases pertaining to ownership of assets beyond means, until further notice. He was also directed to submit bail bonds worth Rs 10 million. NAB carried out two raids last week at the PML-N President's Model Town residence to arrest his son.